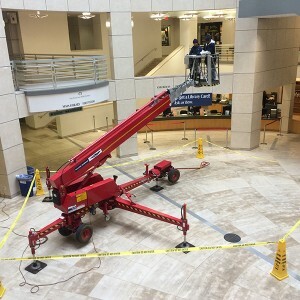 When limited access or weight restrictions prevent the use of a standard boom lift; atrium lifts, or spider lifts, present a cost effective, simple and quick solution. 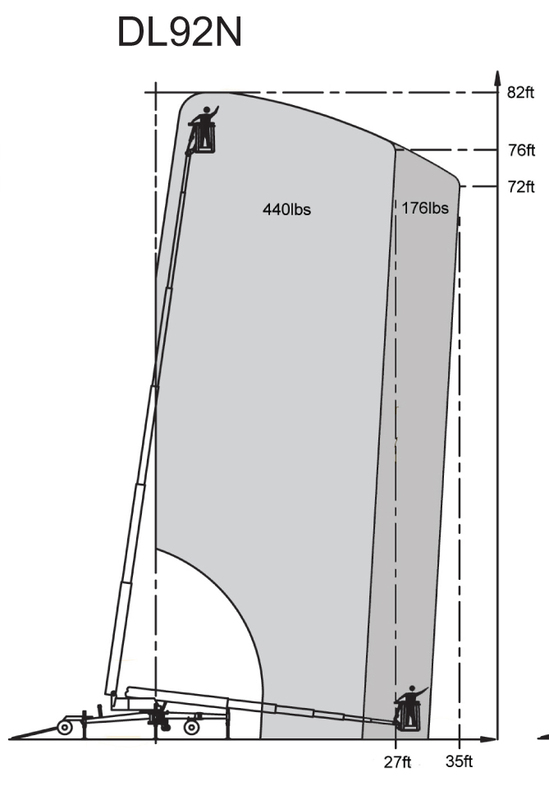 The Denka can fit through a standard door opening and reach working heights of 92 ft all while remaining smooth, precise and environmentally friendly due to its built in battery system. The Denka Atrium Lift gives workers the ability to reach just about anything and is often a cheaper, faster and safer alternative to scaffolding. Check out our other atrium lifts as well!